I am really sorry for not being around much this week, but we have been spending lots of quality time with family and friends and will still be busy up until Saturday. I am exhausted and I have definitely eaten my fair share of chocolates and nibbles. I am sure I have gained nearly half a stone, so I will be doing lots of exercise in January. As 2009, quickly slips away, I wanted to share with you my favourite books of the year. 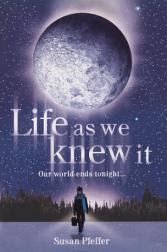 This has been my first year of blogging and it has really opened my eyes to the fantastic books that are available. Thanks to all the wonderful book blogging people, I have developed a love of YA novels, especially dystopian ones and Victorian novels. Both of these genres would never have interested me without the fantastic reviews of books in these genres. I also read more non fiction books than I ever would. 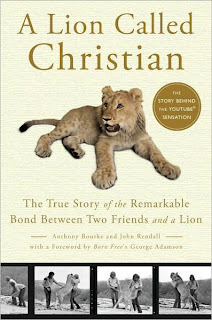 My favourite non fiction book of 2009 has to be A Lion Called Christian by Bourke and Rendall. This book is really one of the best reads of this year. It tells the story of a lion bought in Harrods and brought up living over a shop, before he was reintroduced to the wild by the McKennas. I gushed when I read it and I still gush over this book when I think about it. I have separated the rest of my best reads into two sections - Fiction and YA. The books are in no particular order, as I cannot place certain books over others. I have placed links to the reviews of them, so that you can see why I loved them so much. Here are my favourite fiction books for 2009. They were all my favourite fiction reads for 2009 and quite surprisingly to me, four of them were quite old books. Here are my favourite YA books for 2009. So there you have all my favourite reads for 2009. I would have liked to write a little about each, but I am struggling for time today. I am truly amazed by the amount of fantastic books available today,especially the change in the YA books available. I wonder what genre I will be wowed by next year. I wish all of you a wonderful New Year and I hope it brings you all the wonderful things you deserve. See you in 2010. NOTE: It is now New Years Day, and I have just realised a big mistake I made on this page. Must have been the alcohol yesterday. It isn't worth changing now, as so many have read it, but just to set the record straight, 84 Charing Cross Road was non fiction too! Sorry for my silly mistake, definitely a rushed post yesterday. May 2010 bring you truckloads of wonderful reads, Vivienne! Oh you have great books on here. 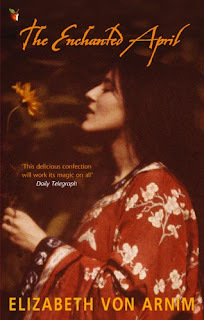 I read Memoirs of a Geisha in 2008 and it was one of my top books of the year. Brilliant. 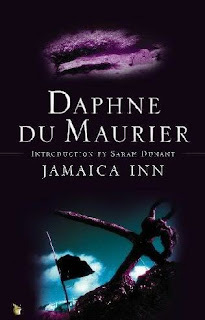 Can't wait to read Jamaica Inn, too. Happy New Year, and have fun with your family! Lately, I've wanted to watch the movies Born Free and Living Free again (I adored them as a child), so I think I'd really enjoy reading A Lion called Christian. Thank you for bringing this book to my attention. You've some other interesting titles on your list as well. This is a great list of books, Vivienne! I haven't been around too much this week either! Enjoy your weekend! Happy New Year! I've only read 1 of those books, so you've given me lots to add to my wish list. Happy New Year! Hi, Vivienne! Happy New Year to you and your family! I just love your list of best books! And I see that you also listed The Knife of Never Letting Go. 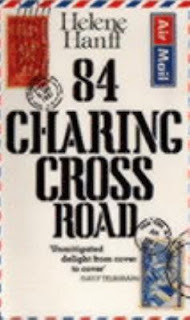 By the way, I never knew that 84 Charing Cross Road was a book! I thought it was just the movie with Anthony Hopkins, Judi Dench, and Anne Bancroft. Fantastic read choices! The Lion named Christian looks fantastic - I am going to check that one out! Happy New Year Vivienne! I loved THE HUNGER GAMES! I'm glad to see it made it into your favourite list! Hi Vivian. I put Shiver on my Amazon Kindle wishlist yesterday. I just read your review. It may be the first book I purchase on my Kindle now. Sounds great. Happy New Year! Memoirs of a Geisha is among my favorites too. Spending quality time with family sounds wonderful! Loved reading your list and I have to say Enchanted April is one of my all-time favorite reads. Here's to another great reading year. My list is coming. I am so slow and lazy on my vacation. I can't believe I still haven't read The Enchanted April, especially considering I've owned it for months! Must rectify that. Happy New Year, hun. 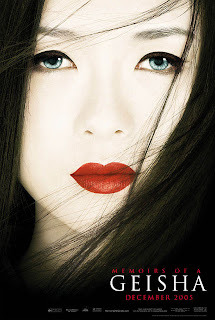 I LOVED Memoirs of a Geisha - though I didn't like the film. 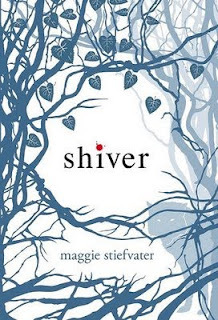 Still need to read Shiver, though! I loved, loved, loved Memoirs of a Geisha. I read it in 2008 and it is the book that got me started on a love of other cultures in books!